Mug Heaven LLC. began in Utah in 1999 and is now located in North Carolina. We began with mugs, then added all types of handcrafted pottery from top US Artists! Now we even carry pottery sinks. 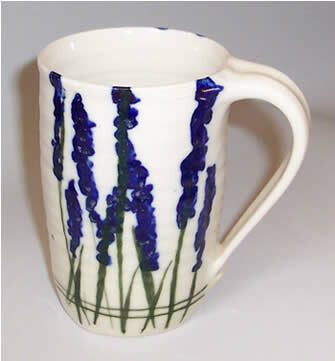 Mug Heaven Pottery has offered the largest selection of handmade US Pottery Mugs since 1999. We include over 65 artists from all over the United States for a great variety of glaze colors, shapes and every imaginable theme. This includes personalized mugs, pet themes, animal themes, large mugs, with over 800 mug choices. Each piece is signed by the artist. In addition, Mug Heaven offers wide variety of dinnerware and accessories such as: all bowls, plates, honey jars, wine goblets, garden pottery and much more. Our prices are generally 15-20% below what you find in a gift gallery. We offer discounts on orders of two or more pieces. All pieces are food safe, lead-free and come with a money back guarantee. 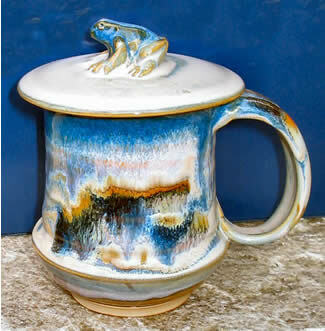 The principals of Mug Heaven are avid pottery and handcrafted collectors for over twenty years. We're always amazed at the unique creations in all the handcrafted mediums. We grew up in North Carolina, not far from Seagrove NC, home to one of the largest concentrations of Potters in the US. We really enjoy looking at various art pieces and searching for those elusive, unique pieces. However the time it takes to find these pieces is a luxury most of us cannot afford, and so Mug Heaven was born. All of the pottery and handcrafted pieces we offer are hand crafted in the USA. Each piece is signed/marked by the Artist. There are no mass produced pieces here! Visit the Mug Heaven Website to see all of the mugs we have available. Mug Heaven has an excellent selection of mugs, but I purchased four mugs online to give as gifts and Mug Heaven shipped them in one big box packed in Styrofoam. The mugs are not inexpensive and should have been in individual boxes (which is what similar manufacturer/gift stores provide), so they could be presented as gifts. What a Collection of Mugs! If you haven't checked out Mug Heaven they have the largest selection of mugs I have ever seen assembled on one site. The variety is awesome, from large over-sized mugs, to unique travel mugs with lids, wide bottom ceramic travel mugs, and even tankards, which are jumbo coffee mugs. 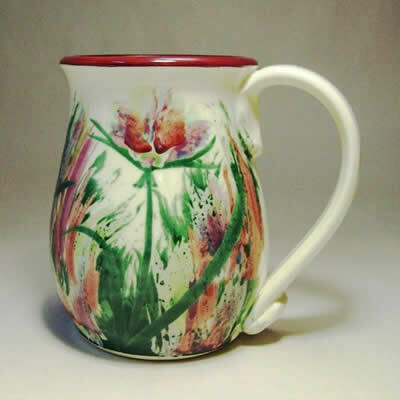 You'll find lots of handmade coffee mugs that have been wheel thrown and have great pottery glazes too.